I would have to say that one of the best compliments an artist could ever get regarding their music would be another artist wanting to remix it. One artist who is very prominent in the remix game is Riot Ten, a trap artist who takes hip-hop, rock and dance tracks and gives them a trap twists ranging from festival trap to lazy trap. Unfortunately, recently Riot Ten was asked to remove his remixes from Soundcloud. To make up for this with his fans, he decided that he would release all the remixes that he done between 2013 and now. The music is being released via Toneden and Interlock Management. With over 60 songs, include several unreleased track, it is different than anything I have seen before. I was able to check out some and songs that I love have been given even greater remixes than anything I have heard before. To be honest, you do not need to like these individual artists to enjoy the tracks that are being remixed. Riot Ten does an amazing job and each track has a twist that is unique to its track. Riot Ten put a lot of effort into the tracks that he added to this remix pack. Beats, vocal manipulation, instrumental variants and original track samples are blended together in each track. Please remember that spreading music like this is an integral part to spreading the name of up and coming artists and those who aren’t signed to mainstream record labels. I love what Interlock Management and Riot Ten have done here and hope more artists are willing to release remixes in this way for their fans. The circumstances in which they chose to do this release is unfortunate, in my opinion, but there is not much that can be done when someone makes rules. You can head to HERE (or click the cover photo) to get the remix pack completely free. 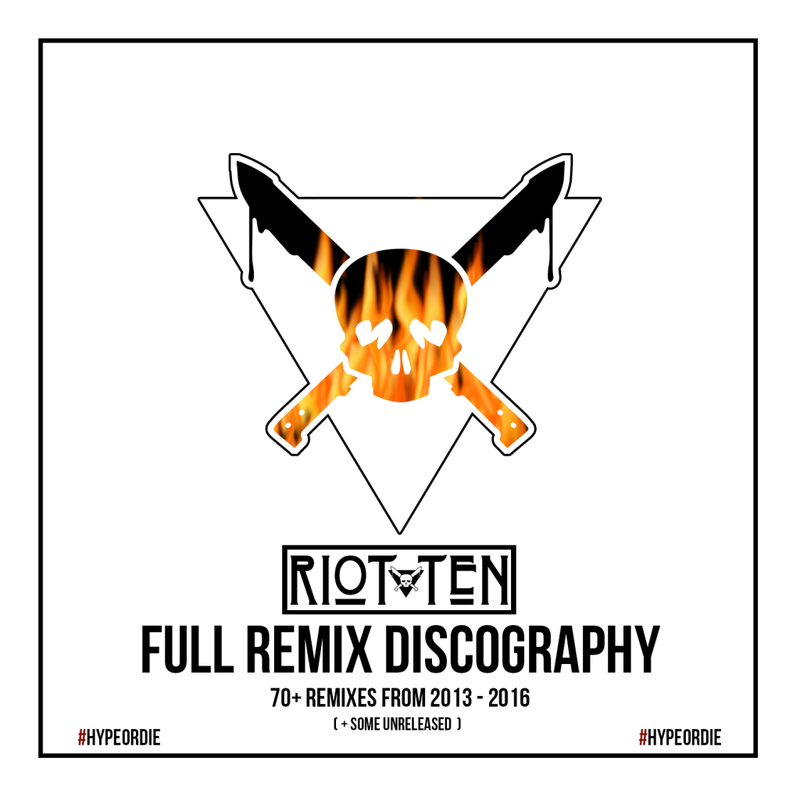 Though this remix pack is free, Riot Ten will need support from fans. So when possible, please support Riot Ten as much as you can. You can support him on Facebook, Soundcloud, Twitter, and Beatport.